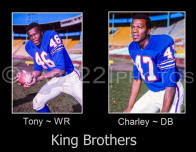 The American Football League, which was more innovative in virtually every way than the conservative NFL, showed that aspect in recruiting minorities, as well. The AFL began play in 1960 with Professional Football's first Hispanic-American quarterback, the Oakland Raiders' Tom Flores, who was in the league for its entire ten years, and then went on to coach the Raiders to two Super Bowl victories. Early on, the American Football League began recruiting from small colleges, which the NFL had avoided. 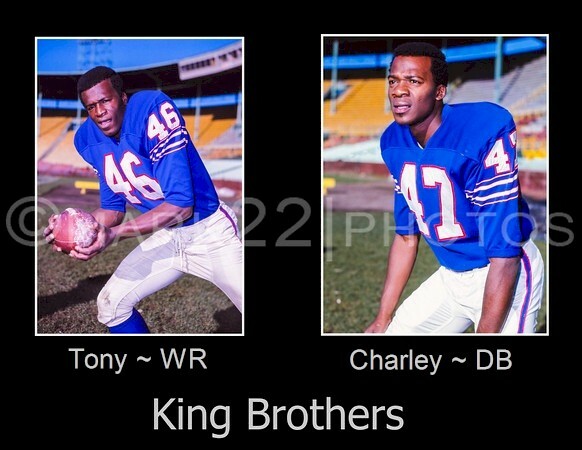 Drawing on this source of talent that had been essentially untapped by the NFL, in the AFL's first year its teams signed such stars as Elbert Dubenion (Bluffton), Lionel Taylor (New Mexico Highlands), and Abner Haynes (North Texas State). For black players, the AFL's recruitment from small colleges opened a door that the NFL had cracked only grudgingly. On a per-team basis, the AFL had a significantly greater number of black players than the NFL, which had still not fully overcome the exclusion of blacks precipitated by the entry into the league of openly bigoted Redskins owner George Preston Marshall. Accordingly, the American Football League hired many more black college talent scouts, including the Houston Oilers' Tom Williams and The Kansas City Chiefs' Lloyd C. A. Wells, Professional Football's first black full-time scout, who was credited with signing AFL Hall of Famers Otis Taylor and Buck Buchanan as well as a half-dozen other Chiefs who achieved AFL All-Star status. At its inception in 1920, the NFL, (as the "American Professional Football Association") had several African-American players (a total of thirteen between 1920 and 1933). However, by 1932 the NFL had only two black players, and by 1934 there were none. This disappearance of black players from the NFL effectively coincided with the entry of Marshall, one of the leading owners in the league. Marshall openly refused to have black athletes on his Boston Braves/Washington Redskins team, and reportedly pressured the rest of the league to follow suit. The NFL did not have another black player until after World War II. The NFL's Cleveland Rams, in order to move to Los Angeles before the 1946 season, were forced by their lease with the L.A. Coliseum to integrate their team. There were no black players drafted, the Rams simply signed contracts with Woody Strode and Kenny Washington. In 1946, the Cleveland Browns of a rival Professional Football league, the All-America Football Conference, signed two black players: Marion Motley and Bill Willis. Still, the NFL's Marshall was quoted as saying "We'll start signing Negroes when the Harlem Globetrotters start signing whites." 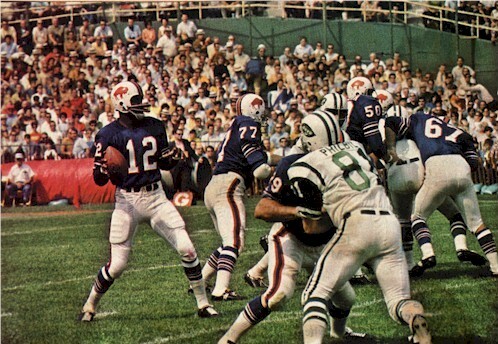 In spite of this open bias, Marshall was elected to the NFL's "pro football" hall of fame in 1963. As part of his "qualifications" for enshrinement, the hall says: "Marshall was totally involved in all aspects of his team�s operation and endured his share of criticism for not integrating his team until being forced to do so in 1962." Evidently "enduring criticism" for an act of bigotry is a criterion for induction. The Redskins had no black players until they succumbed to the threat of civil-rights legal action by the Kennedy administration. Similar to the Rams, they had to agree to integrate before being allowed to play in their home team's stadium. Even when the NFL did sign black players, poor treatment was evident. Reportedly, black players routinely received lower contracts than whites in the NFL, while in the American Football League there was no such distinction based on race (Miller Farr, in the foreword to The "Foolish Club" by Jim Acho, Gridiron Press, 1997). Conversely, the American Football League actively recruited players from small colleges that had been largely ignored by the NFL, giving those schools' black players the opportunity to play Professional Football. As a result, for the years 1960 through 1962, AFL teams averaged 17% more blacks than NFL teams did. (Reference: Outside the Lines: African Americans and the Integration of the National Football League. By Charles K. Ross. New York: New York University Press, 1999, ISBN 0-8147-7495-4). By 1969, a comparison of the two league's championship team photos showed the AFL's Chiefs with 23 black players out of 51 players pictured, while the NFL Vikings had 11 blacks, of 42 players in the photo. Chiefs players stated that a motivating factor in their crushing defeat of the Vikings in the fourth and last AFL-NFL World Championship game was their pride in the diversity of their team. At its most sensitive position, Professional Football had not seen a starting black quarterback in the first thirty years of the sport. 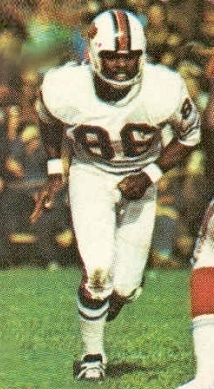 In the modern era, Willie Thrower finished a game for the Bears in 1953, but that was the extent of the NFL's capitulation to a rising tide. 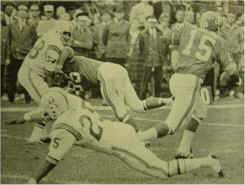 In the fourth game of the 1968 American Football League season, Denver Broncos coach Lou Saban made Nebraska Omaha's Marlin Briscoe the first black to start at quarterback for a modern Professional Football team. Briscoe went on to play eleven games, setting Professional Football records for a rookie quarterback: 1,589 yards passing and 14 touchdowns in only 11 games. 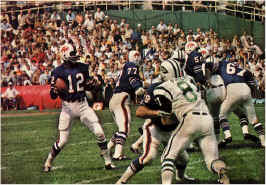 Against the Buffalo Bills, Briscoe established career highs in passing yards (335) and touchdown passes (4) in a 34-32 win. 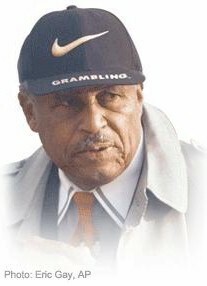 Eddie Robinson, Grambling State University's legendary coach, who played an integral part in the American Football League's recruiting and signing of black players, passed away on April 3, 2007. Published reports state that "Robinson sent over 200 players to the NFL." Like most such usages, apparently what was meant was that he sent over 200 players to Professional Football. The articles are not clear as to whether all those players were graduates of Grambling, but they are impressive numbers, nonetheless. The website www.databasefootball.com lists 105 pro football players whose last college attended was Grambling State. During the 1960's, the American Football League had from eight to ten teams, which collectively signed 18 of these Grambling players. The NFL, which had from 13 to 16 teams during the same period, signed 14. So the AFL had about two Grambling men per team, the NFL had about one per team. This reflected the overall proportion of blacks in each league: an American Football League team, on average, had twice as many blacks as an NFL team. Among the AFL's Grambling signees were three eventual pro football hall of famers: Willie Brown, Charlie Joiner, and Buck Buchanan. 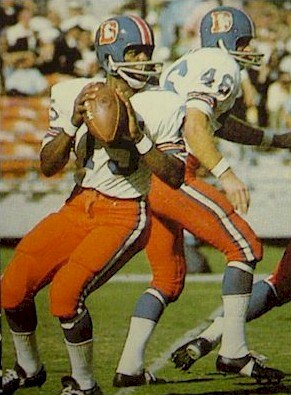 Buchanan was the first black player ever selected in the first round of a Professional Football draft. Among the other AFL signees from Grambling were AFL All-Star Nemiah Wilson and the great Ernie Ladd, as well as James Harris, the first black in the modern era to begin a season as a starting pro quarterback.